The Steel and Engineering Industries Federation of Southern Africa (SEIFSA) is disappointed by the decline in overall business activity in the broader manufacturing sector as reflected in the Absa Purchasing Managers’ Index (PMI) released today. The data shows a slight dip in broader manufacturing activity in the country, registering a decrease against the backdrop of a strong performance last month. The preliminary seasonally-adjusted data showed that the PMI deteriorated from 50.7 points in December 2018 to 49.9 points in January 2019, with the data once again slipping below the benchmark level of 50, which separates expansion from contraction. SEIFSA Economist Marique Kruger said when compared to December 2018 when the manufacturing sector trended in an expansionary region of 50.7 points, it is evident that there is a deterioration in the business activity index. This is a concern for the metals and engineering (M&E) cluster, especially given the prevailing low levels of domestic demand. sub-components correspondingly registered decreases in January 2019 when compared to the previous month, with three out of the five sub-indices trending below the neutral level, Ms Kruger said. Of the five sub-components, the employment sub-index increased the most, surging from 40.5 points in December 2018 to 48.3 points in January 2019, while the worst-performing sub-index was business activity (49.8 points). 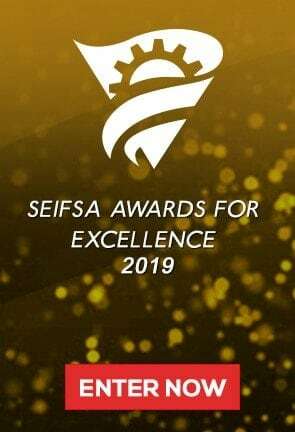 SEIFSA is a National Federation representing 23 independent employer Associations in the metals and engineering industries, with a combined membership of 1600 companies employing around 200 000 people. The Federation was formed in 1943 and its member companies range from giant steel-making corporations to micro-enterprises employing fewer than 50 people.